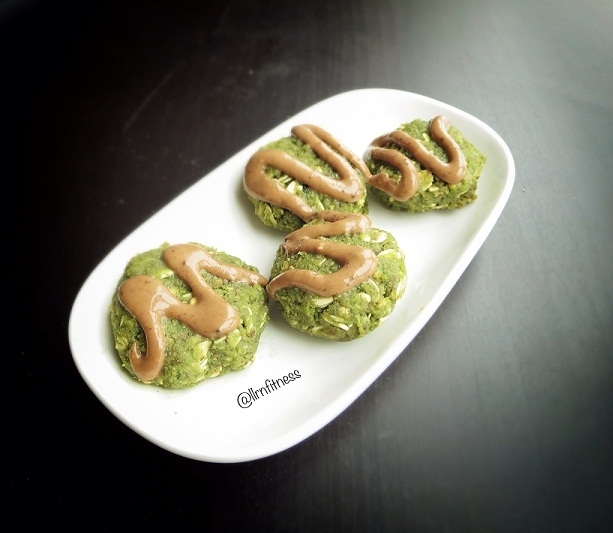 These no bake cookies are easy to make, full of nutrients and protein, and delicious! Blend spinach, almond milk and cottage well. Pour into a bowl, mix all other ingredients.